Naturally aspirated or turbocharged fun? 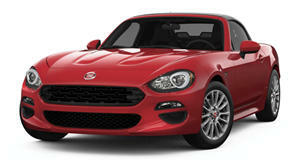 Although they’re both built on the same rear-wheel-drive platform and share many other components, the Mazda MX-5 and Fiat 124 Spider each have their own unique flavor. Compare them side by side and you’ll notice the Fiat is a bit longer and has different front and rear end designs. Step inside and, well, except for each respective brand’s badging, literally everything else is the same. No qualms there. But it’s under the hood where each car’s personality is truly revealed. Auto Express has made the noble effort to answer the question many roadster buyers have been wondering: MX-5 vs. 124 Spider. Which to choose? Both are fun to drive and relatively inexpensive to buy, but the MX-5’s naturally aspirated 1.5-liter four cylinder with 129 hp is the more "zingy" choice. It’s not that the 124’s turbocharged 1.4-liter turbo four with 138 hp is lacking, it’s just there’s no replacement for displacement, as the old saying goes. But wait? 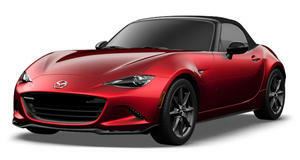 A 1.5-liter MX-5? Isn’t it a 2.0-liter only? Yes, that’s the case in the US but in Europe the 1.5 is the base engine and, some say, the better choice. While the Fiat loves to dance just as much as the Mazda, it also has more torque (compared to the 1.5), thus making it easier to live with when, say, accelerating on the highway. But really, the choice boils down to personal preference. You really can’t go wrong with either one.